Gonzaga is a legitimate national-title contender. Gonzaga plays in the WCC. Gonzaga has never made a Final Four. So with those two truths, how could Gonzaga coach Mark Few have such a great program? The Vols have played Wisconsin, Oregon, North Carolina, Kentucky and Florida—all current Top 25 teams with the talent to make a Final Four run—so his assessment should carry some weight. So should that of Santa Clara coach Herb Sendek, who has coached in the Pac-12 and ACC and played the Zags twice already this season. Barnes said after playing the Zags that he thought they would go undefeated the rest of the regular season. And so far he’s proved prophetic; the Zags are 25-0 as they head to No. 20 Saint Mary’s on Saturday. Gonzaga beat Saint Mary’s by 23 four weeks ago, but the Gaels are the stiffest test left on the schedule and a win there makes an undefeated regular season more likely than not. Which would only make the doubters scream louder. A simple Google news search for “Gonzaga” right now, for instance, produces stories like this that uses the WCC and past NCAA tournament results to suggest the Bulldogs aren’t anything more than a really good mid-major program. This is why all that is a bunch of bull. There are many ways to try to predict NCAA tournament success, but one easily identifiable characteristic of past champions is those teams typically have several future NBA players. The champions since the turn of the century—excluding last year's Villanova since much of the roster is still in college—have produced an average of 4.7 players in the NBA. An NBA scout who recently traveled to Gonzaga told Bleacher Report that he believes the Zags have six players who have a chance to play in the NBA: Zach Collins, Nigel Williams-Goss, Przemek Karnowski, Jonathan Williams, Killian Tillie and Josh Perkins. Few does it differently than other programs with a similar caliber of talent. He has three transfers in his starting lineup and two foreign-born players in his rotation. “They’re stuck in a very awkward place to recruit so they’ve zigged when everyone else has zagged,” the scout said. “They’ve thought outside the box, and they’ve been creative with how they’ve recruited. While the location and league might be hurdles, Few has still been able to land several high-major caliber recruits in the states. Perkins was a 4-star recruit from Colorado who had offers from Arizona, Kansas and UCLA, per Scout.com. Collins, the 7'0" freshman from Las Vegas, was a McDonald’s All-American. Collins, who will be a first-round pick whenever he decides to leave Gonzaga and could be a lottery pick, is averaging 24.9 points and 13.6 rebounds per 40 minutes. He shoots 69 percent from inside the arc and has made 6-of-14 threes. And, yeah, he comes off the bench. KenPom.com, the go-to site for college basketball analytics, has produced a pretty simple formula for winning a national title. Every champion but one in his database has ranked in the top 20 in adjusted offensive efficiency and defensive efficiency. The one exception, North Carolina in 2009, ranked 21st in adjusted defensive efficiency. Gonzaga’s offense currently ranks third and its defense fourth in those metrics. The Zags are one of seven teams currently who hit the title-winning qualifier—it would be only the second Gonzaga squad to do so, the other was the 2014-15 team—and this group’s level of dominance is trending toward historic. Gonzaga’s efficiency margin—taking the difference in the adjusted measures—is the fourth-best ever in Ken Pomeroy’s database. 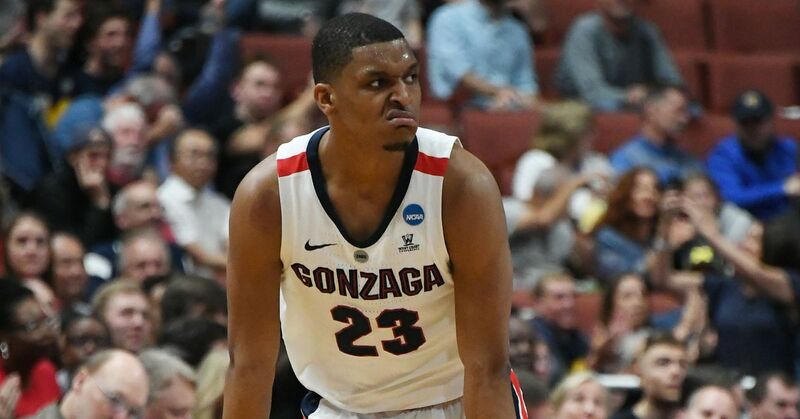 Pomeroy warns we should be cautious in comparing teams from other years when we’re only about 60 percent through the season, and Gonzaga is a team with the “biggest error bars around their measurement” in his top 20. “It’s a huge challenge to accurately place Gonzaga because all we know they’re way better than their conference,” Pomeroy said. That said, Pomeroy’s adjusted efficiency margins are the least subjective way of judging teams and the Bulldogs compare favorably against other elite teams in mid-February. Pomeroy pulled the numbers for each season on Feb. 8 dating back to 2012, and Gonzaga’s efficiency margin only trailed 2015 Kentucky in that sampling. 2. Gonzaga (2016-17) 33.24 ??? ??? “I think it’s pretty clear this is the most well-rounded team they’ve had under Mark Few,” Pomeroy said. “If you were going to pick any team to go to the Final Four, it’d be this one. They don’t have obvious weaknesses. They’re pretty deep. They have a lot of the makeup of a good power-conference team. The fact that Gonzaga plays in the WCC is not enough reason to diminish its chances for making the Final Four, but as Pomeroy stated, it does make it difficult to compare the Zags against other top-tier programs. To Few’s credit, he always schedules aggressively in the non-conference. Gonzaga played five major-conference teams (Florida, Iowa State, Arizona, Washington and Tennessee). Four of those are projected to make the NCAA tournament. Florida is ranked sixth in Pomeroy’s ratings and just ran Kentucky off the floor. Arizona has climbed as high as fifth in the Associated Press poll and will likely be a top-two or three seed in the NCAA tourney field. If you average out the rankings of those five teams on Pomeroy’s site, it’s 48.4. That’s roughly the equivalent of playing five games in the ACC, in which teams have a 45.5 average ranking. Granted, Gonzaga did not have to play any of these teams on the road, but four were neutral-site games and the Zags outscored those five power-conference teams by 14.7 points per 100 possessions. Any other team that does that against that caliber of opponents in a power-conference league would be considered a national-title contender. Gonzaga is also working with a luxury that 2015 Kentucky had because of its depth. Those Wildcats were in one of the worst power-five leagues, but their practices were super competitive because John Calipari could have his two platoons square off. "Gonzaga's practices are wars because they have such a volume of talent up and down," the scout said. Let’s also go ahead and squash the notion that past tournament losses suggest Gonzaga is just incapable of winning a title. Four of the last five years the Zags have lost to eventual Final Four teams, one of those in the Elite Eight against the eventual national title winner (Duke) in 2015. The 2013 season gets used against Gonzaga because that team had a No. 1 seed and lost in the round of 32. But the Zags lost to Wichita State, a team that had three eventual NBA players, made the Final Four and went 35-1 the next season, also losing in the round of 32 to a stacked Kentucky roster that ended up in the national title game. And in that loss to the Shockers, the Zags led by seven with 5:31 left and Pomeroy’s numbers had Wichita State at a 7.4 percent win probability at that point. That comeback was the start of a historic run in college hoops, built around three future pros. But shame on those Zags for losing. There is no guarantee that this is the year Gonzaga breaks through, because the NCAA tournament does not care about narratives or teams that deserve to break through. Anyone who tells you team X is guaranteed to get to the Final Four is foolish. But there are characteristics of teams that have success in March, and Few has built what is essentially the perfect modern-day roster for a tournament run. Mainly, a combination of experience and talent, and having it at the right spots. At point guard, he has a pro in Nigel Williams-Goss, who was a McDonald’s All-American coming out of high school and is now a fourth-year junior. Williams-Goss started his career at Washington and played for two mediocre teams before transferring out. That experience gave him some perspective that most players with his talent do not have. The scout compared Williams-Goss to former Virginia guard Malcolm Brogdon, who is killing it with the Milwaukee Bucks. One reason for the comparison is a realization that intangibles and playing the game the right way will get them to the league. 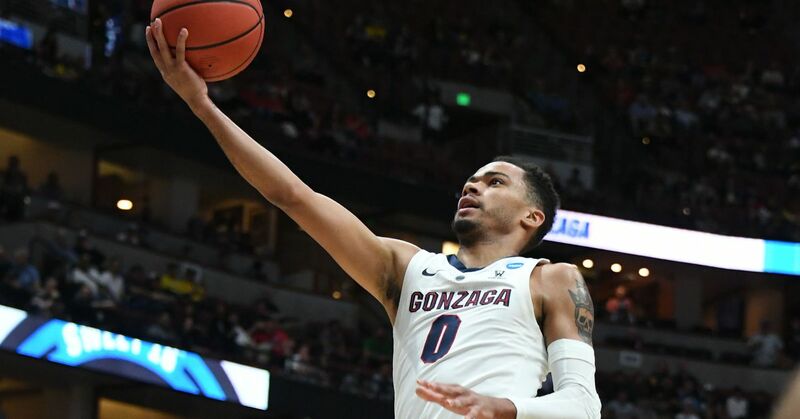 Williams-Goss is smart enough to know that he doesn’t need to dominate the ball, but, rather, keep feeding Gonzaga’s four-headed beast in the interior. Gonzaga is one of the rare teams that can crush you with back-to-the basket scoring. The Zags entered Thursday’s game scoring at a 1.07 points per possession clip on post-ups, which ranked second nationally, according to Synergy Sports Technology. Gonzaga has also scored the second-most points on post-ups, trailing only Purdue. Karnowski is one of the toughest covers on the blocks because he’s immovable with a soft touch, and bringing a double-team is not an advisable option. Karnowski is such a gifted passer that teammates and coaches call him “Magic Przemek," and doubling him typically results in a wide open layup or three-pointer. Few still has Karnowski in Spokane because of a back injury that put him on the shelf last year and forced him to redshirt during his senior season. That allowed Karnowski to play one season with the perfect complement to his game, Missouri transfer Jonathan Williams. Similar to former Gonzaga big man Kyle Wiltjer, Williams thrives in the high post, giving room for Karnowski to set up camp on the blocks. But unlike Wiltjer, Williams is a versatile defender who is comfortable out on the perimeter. According to Synergy’s numbers, Karnowski is one of the best on-ball defenders in the country—allowing 0.54 points per possession—because Williams allows him to simply hang back in the paint and make opponents shoot over Mount Przemek. Freshmen Collins and Tillie also offer similar versatility and are Gonzaga’s best shot-blockers. When they sub in, Gonzaga doesn't miss a beat. It’s arguably the best frontcourt in the country and definitely the deepest. Then on the perimeter, the Zags spread the floor for their bigs with three-point threats. Jordan Mathews, a grad transfer from Cal, was the dead-eye shooter on the wing this team was missing. Third-year sophomore Josh Perkins was the team’s starting point guard last season and slid over to shooting guard with Williams-Goss in the lineup. Perkins is Gonzaga’s most accurate three-point shooter (43.7 percent) and playing two point guards has been a recipe for success in the tourney recently—the last four national champs have had similar two-point guard backcourts. Gonzaga also has a starter-level guard in junior Silas Melson, a strong defender who averages 8.1 points per game off the bench. “They give you so many problems because their perimeter is good and they’ve got experience,” Barnes said. “They’ve got so much size that they can bring at you, and they just have an unbelievable culture of winning. Barnes went on to say that he doesn’t think Gonzaga has any weaknesses, that they play with a sense of freedom and swagger. “I think it’s the best team they’ve ever had,” Barnes said. Every coach interviewed for this piece, Iowa State's Steve Prohm included, put Gonzaga among the title contenders. The Zags simply fit the blueprint in every way. In a season where the perceived elite in November (Duke, Kansas, UCLA and North Carolina) have come back to the field, maybe this is Gonzaga’s year. Nothing is a given in the NCAA tournament. But Few is as well-equipped as ever to shut up the doubters for good come April. C.J. Moore covers college basketball and football for Bleacher Report. You can follow him on Twitter: @CJMooreBR.